Style Guides are only available on the Advanced plan and up. 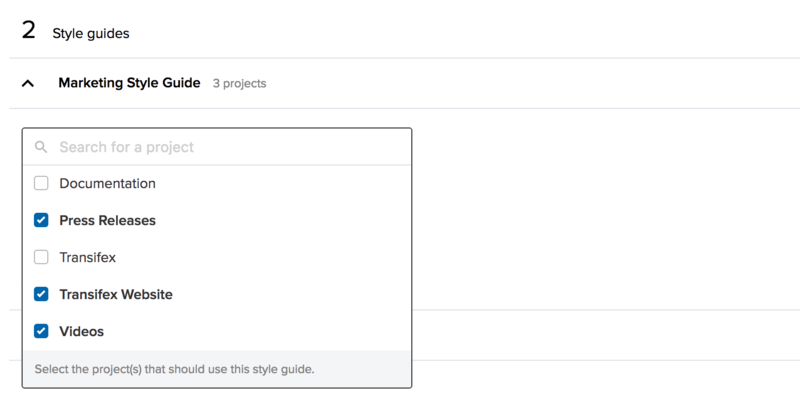 Any user can view a style guide, but only Organization Admins can create one. Every person and every brand has a voice that’s unique to them. To help ensure translations are consistent with your brand across all languages, Transifex lets you provide style guides for your translators. But what’s a style guide? It’s simply a set of guidelines about how your brand ought to be presented. Later in this article, we’ll go over some things you might want to include in your style guide. On the left menu, click on Style Guides. Click on Add a Style Guide. Give your style guide a title, then put in your style guide content. 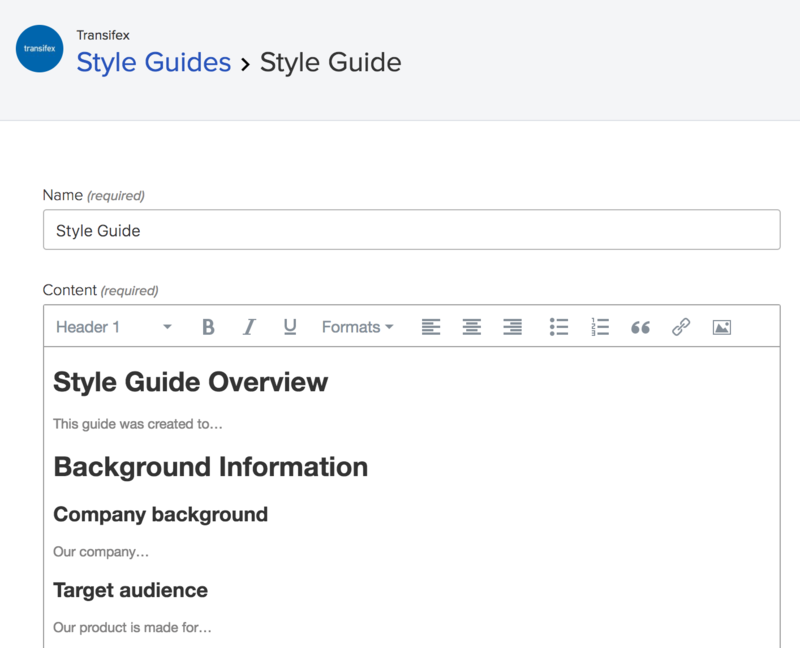 Whenever you create a new style guide in Transifex, you’ll see a style guide outline in the content box. You can use it as a reference or create a style guide following your own structure. Hit Save to finish creating your style guide. A Table of Contents will be automatically generated for translators using the Heading 1's and Heading 2's in your style guide. 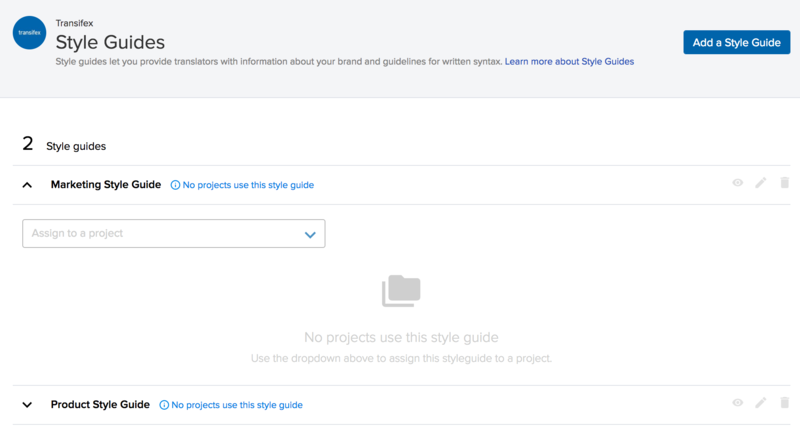 From the Style Guides overview page, click on the style guide you want to assign to a project. In the Assign project dropdown, use the checkboxes to select the project(s) you want to assign the style guide to. When done, click outside of the dropdown. To unlink a style guide and project, simply uncheck the project in the dropdown. A project can only have one style guide assigned to it at a time.